It has become a pop culture norm to refer to a bucket list. The must-do’s before one, “kicks the bucket”. While I applaud the notion of all types of lists, making one for the end of life seems a little too late. Many people tragically figure out how important this list can be for them, when life is running short. How sad are these death bed regret stories? Those people who pushed themselves so hard and sacrificed so much for material gain in the corporate world, only to discover they missed out on the stuff that makes life truly wonderful. The experiences which money cannot buy. What if something happened to shake things up? 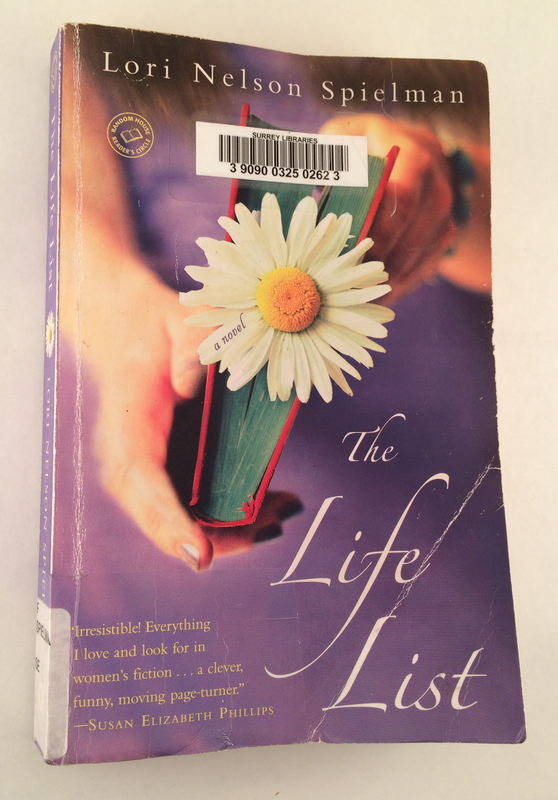 The main character in “The Life List”, get’s willed her own teenage list as her Mother’s last request. A hefty inheritance is the prize and the character gets thrown from her privileged life with a deadline to complete the list. With idealistic, youthful goals like, “fall in love” and “get a horse”, you can imagine how the story unfolds. An easy, breezy summer beach read as far as literature is concerned. But it forced me to think, to turn in a little. I started to remember some of my youthful passion. That drive and determination I had. The optimism. I was eager, I didn’t care so much what other people thought of me. I didn’t worry if I was “cool”. Then I started to wonder if I could harness some of that mojo, now? I really need more courage and bravery. I want to put myself out there, be fearless again. Take some creative risks, play. I think that girl is buried down inside of me. Now my mission is to bring her out. Let her dance, sing and be otherwise a little silly. Show up with joy and enthusiasm. Ask questions. Learn. I love that girl with all my heart and I miss her. I’m not sure if that was what Lori Nelson Spielman had in mind for her readers when she wrote that book! Goes to show, life is what you make it.